If you want to lead a de-cluttered and an organized life, a ‘to-do’ list is necessary to bring order to your tasks and thoughts. Lets face it, many of us have demanding jobs and demanding lives. It’s easy to get carried away in life and run around putting out fires. Rather than being like a hamster on a wheel not really getting anything accomplished all the way, wouldn’t it be nice to actually start and finish a project in its entirety? The only way to insure that all projects and demands get thoroughly finished in a productive manner is to write them all down. The next step is to prioritize your tasks and focus on them in a logical and strategic manner. The only way to accomplish this is to do one assignment at a time completely, then cross it off your list. A list can come in many forms, but its goal is the same: Organize and Prioritize all the tasks and responsibilities you committed to or that are expected of you. A list can be on a computer, on an iPad or iPod, on your phone or on a legal pad or notebook. It is best if your list is not 100 sticky notes and scraps of paper, but rather one central location. Each day, your list should be updated, crossing out what you’ve accomplished and re-transcribing what was not finished. Your list should be in an order of importance or prioritization of tasks. You may add to your list all day long in order to keep your responsibilities clear in your mind. An organized person, employer or employee is a leader and reliable. 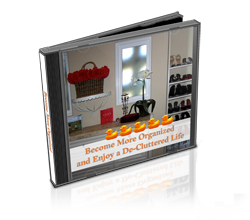 You stand out from the rest by being organized and efficient. You are calmer, less stressed, and really productive. This leads to extra time in life, and more success in the workplace.